about to become a major player in the pan world and beyond. pan cafe people deliver a masterpiece.. The pan café quartet was put together for the sake of an album called Jazz@thepancafe Vol 1. The album started to get a lot of great reviews and comments for this amazing line up to record and perform more. The new sound of the millennium sees the use of drum machines as well as conventional and unconventional instruments melded together to make this wonderful original sound. These four superb musicians all masters in their own right give a very strong performance on this album, so much so that Jazz UK magazine nov/dec issue gave the opinion that this is most original jazz album of the year. 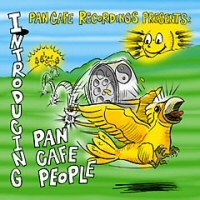 Obviously the pan café quartet centres on the steel pan, and its founder Vine. But make no mistake every member of this quartet plays an exceptional roll. Jzules has performed with various London bands from the age of 16. His repertoire ranges from reggae right through to jazz. He has supported a number of recognized vocalists and played alongside some of London’s renowned jazz musicians. A co-founder of Panyard and songwriter who has produced tracks for some of the most recognized House and Drum N Bass Labels world wide. Writing for vocalist from, New Zealand, South Africa, Texas and Chicago, not to mention work with some of London’s finest Mcs and rappers. Jzules has also underscored for Chicken Shed Theatre Company where he acquired his Diploma Performing Arts. He has pursued studies in sound engineering at I.M.W, Music at Brunel University and is currently studying a BA Jazz Degree at Middlesex University. Born in the early 80’s, Alex spent 8 years of his childhood in Trinidad & Tobago (from, 1989-1997) his mother being Trinidadian and his father English. Having been influenced by Calypso/Samba/Reggae and other variants of Latin music, he began working in a CD mastering plant in Trinidad as well as hanging around local recording studios. 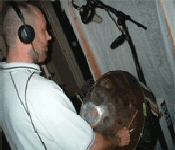 It was there that he picked up his engineering skills and he still works as an engineer at Red Door Studios, Nottingham, a Private Project Studio and runs his own label Loven Records launched September 2005. London born Kevin began public performing on the London jazz fusion scene in the late seventies. He soon became a first call session player, working in the commercial industry. Live work took in everything from soul, R and B, rock and jazz. Continually in demand, Kevin worked continuously for the next decade and a half, touring extensively with many a pop icon. Kevin continues to work in the many varied musical fields, teaches and spreads the word ‘Bass is Joy’. London born Vine has been playing pan since 1985. He started his career with conventional steel bands in the UK and Trinidad. In 1991 he decided to cross over as a soloist and venture into a new band format and other forms of music. In 1993 he got the opportunity to play at Jazzance in Trinidad where he performed as a soloist alongside "Pan Legends" Len Boogsie Sharpe and Robert Greenidge. Since then he has performed and recorded with some of the UK’s top jazz musicians. Away from Jazz, Vine has worked on many other kinds of music. Calypso, reggae R&B classical and Latin. 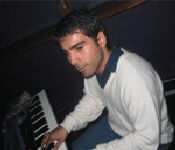 Vine started to Produce and Engineer Dance/Electronic Music In 1995. When he and Jzules started Panyard Productions. 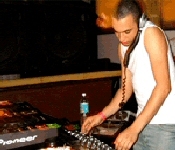 They have been signed to subliminal records (New Jersey) Bluem (San Diego) Hed Kandi and Diaspora (UK). They run their own record label called Soul Delicious Recordings, and write and produce for international singers like Rashaan Houston (USA), Jessie Matthews (nz) Soul sista (SA). And in the UK James B Coleman (Galliano), Vincent J Alvis (Mj cole) and Be. Atwell (Alabama 3).